Lille is a city in the very north of France whose close proximity to Belgium, the Netherlands and the British Isles means it is a bustling metropolis where many cultures collide. You’ll find lots to do in the city, this 2004 Capital of Culture has many tourist attractions to offer. If you need to take a break, the city also has a wealth of cafes and coffee shops where you can recharge your batteries. Here are the top ten. You might be struck by a sense of déjà vu on entering M’eat Me in Lille’s student area, since the inspiration for the cafe and its decor came from ‘Central Perk’, the all-American coffee shop from the ubiquitous and ever-popular sit-com Friends. Cozy sofas and armchairs are dotted around the replica of the fictional cafe and a huge flat-screen TV endlessly shows re-runs of the show. You’ll also be able to order American inspired goodies, from huge mugs of coffee, savory bagels, sweet donuts and the always delicious dessert of the week, which are all handmade on site with fresh ingredients. If you’re looking for a great cup of coffee in the very heart of Lille, pay a visit to Coffee Makers, the central cafe with a real passion for quality coffee. Here, you can sample a variety of hot and cold drinks including various coffees made using their expertly sourced coffee beans, which are roasted on site. As well as great coffees, Coffee Makers offer teas, hot chocolates, cakes and a small selection of savory dishes, making this a great place to stop by for a snack at any time of the day. Le Café Oz may be more bar than cafe, but the lively, upbeat atmosphere that you’ll find here nevertheless makes it an appealing place to have a coffee with friends. The Australian-inspired decor (watch out for the surfboards, crocodiles, didgeridoos and aborigine artwork adorning the walls) makes the place feel cozy, and in the summer months, the large outdoor terrace is a perfect spot for a pick-me-up in good company. 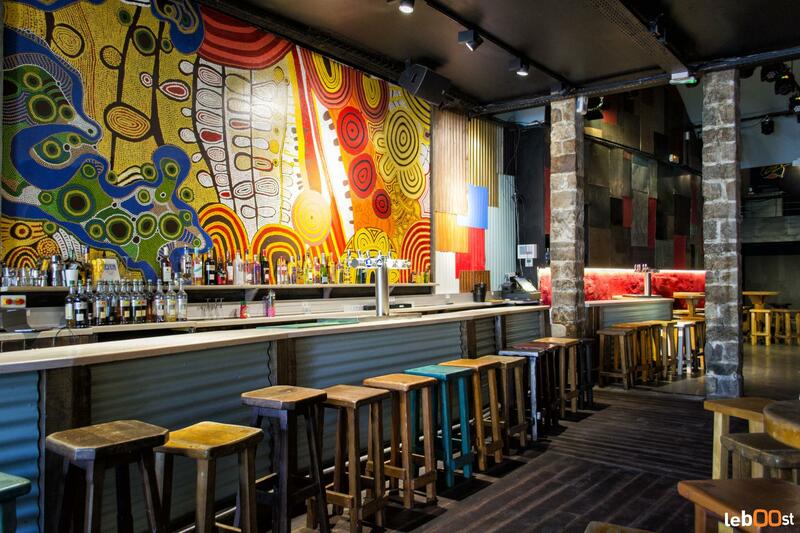 Stick around after the sun has gone down and try some of Le Café Oz’s carefully sourced beers and unique cocktails. 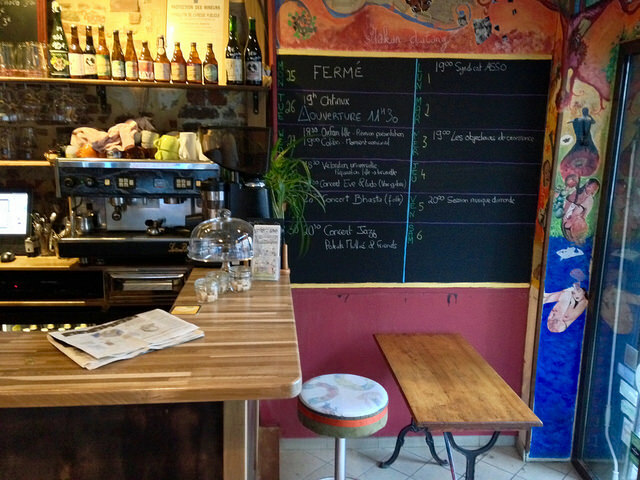 Just around the corner from Lille’s impressive Notre-Dame de la Treille cathedral is Joe Tex Café, another of Lille’s great spots for a caffeine fix. Come for a coffee in the cozy back room, filled with comfortable armchairs and, if you’re hungry, try one of the small savory snacks, served all day. This is also a great place to visit if you’re a fan of jazz, soul or funk music; Joe Tex Café hosts special evenings dedicated to different styles of music which are not to be missed, and there are vintage posters and old concert tickets decorating the two rooms. Madame Bistro is just as ideal a location for a mid-morning coffee as it is for a lunchtime snack or an after-work pick-me-up. Come early in the day for a very French coffee and croissant or at lunchtime to sample the finely crafted menu, incorporating locally sourced, seasonal products. At Madame Bistro, all dishes are served in jars – a quirky concept which allows you to enjoy the food either in the cafe’s stylish interior or to take away. The art-deco style cafe also stocks a range of artisanal fruit juices, wines, jams and other handmade products that you can purchase to take away with you. Notting Hill Coffee on rue Esquermoise, the first of five to have opened in the city, is located in Vieux-Lille. Here, the friendly baristas are all passionate about great coffee and you’ll be able to choose from a wide selection of delicious drinks, whether that’s a simple espresso or a latte, cappuccino, mocha or macchiato. Notting Hill Coffee also offer a large range of teas and hot chocolates, but if it’s a cold drink that you’re after, try the cafe’s famous Frappécream, which you can have with coffee, milk or fruit. The cafe’s sweet and savory snacks, made fresh on site everyday, also make a great accompaniment to your drink. Just a stone’s throw away from the Café Oz is L’Imaginaire, a bar-bistro where you can get a great cup of coffee. The cafe opens from morning until night and you can come for lunch, dinner or just for dinks. L’Imaginaire is housed is a charming building typical of the Old Town and, from the outside, it looks a lot smaller than it actually is. Behind the cafe proper is L’Imaginaire’s terrace, definitely one of the best things about the place. The huge outdoor seating area has spectacular views of the city’s cathedral and is an ideal spot to sit with a coffee on warm afternoons. Le Café Citoyen is a popular spot for both tourists and Lille locals for a cup of coffee at any time of the day. The cafe, which also stocks regional beers and other artisanal drinks, is open from early until late and you can be sure of a warm welcome whenever you come. On weekdays, Le Café Citoyen opens at 7:30am, making it a perfect place for early risers to grab the first coffee of the day. We also recommend checking the menu while you’re here – the food is fresh and flavorsome and everything is made on site using seasonal, locally sourced ingredients. Basilic Café, situated in the old town of Lille, is surrounded by bars, cafes and restaurants but remains a popular spot for food and drinks. The large main room of the cafe is brightly lit with a simple but stylish decor and the atmosphere is a pleasant one no matter the time of day. You will be warmly welcomed whether you’ve just come for coffee and cake – the cafe is ideally located for a pick-me-up in between browsing the area’s shops – or for something a little more substantial. The food menu is also worth a try – gourmet burgers are the house’s most popular fare but the vegetarian options are just as tasty. Join Lille’s most trendy citizens at this coffee shop and restaurant in the heart of the city center. 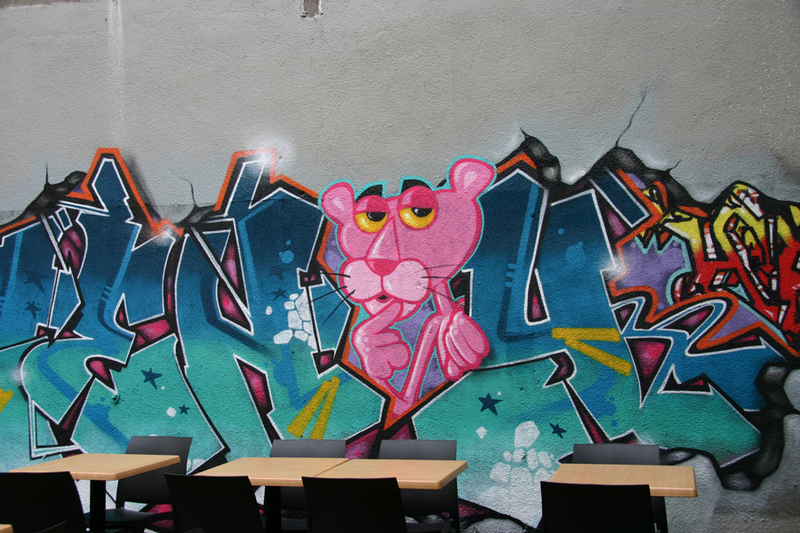 Spok, which describes itself as an ‘urban cantine’, offers healthy and nutritious self-service food and drinks that don’t compromise on taste. There’s a wide selection of hot and cold drinks and the flavorsome food menu includes sandwiches, wraps, salads, soups and desserts that are healthy and delicious in equal parts. Have your food and drinks sat on one of the long communal benches in the cafe’s stylish interior. If you’d rather eat chez toi, everything is available ‘to go’.